Unfortunately, we have become accustomed to American economic, cultural, and military dominance. We have accepted these predetermined outcomes without giving much thought as to how we would continue our reign at the top of the global heap. Now, we are at the brink of financial disaster. We have a young, vibrant, technology savvy President-Elect, who speaks of dragging America into the 21st century. Before the election, the pundit class was in titters about how the incoming president’s agenda would be hamstrung by the recession. However, now that it is apparent that the government must spend tremendous sums of money in order to prop up the economy, Mr. Obama and his surrogates see an opportunity amidst the chaos. Regrettably, their vision is narrow-minded and uninspired. Bricks and mortar, “shovel-ready” projects are integral. Yet, in order for this country to stride into the Digital Age instead of lurching its way towards the past, we must move past outmoded thinking and invest in truly transformative projects. In order to remain competitive, the United States needs to make high-speed internet access an integral part of its infrastructure. There are already private advocacy groups and politicians that recognize the urgent need for universal broadband access. The current figures are rather embarrassing. 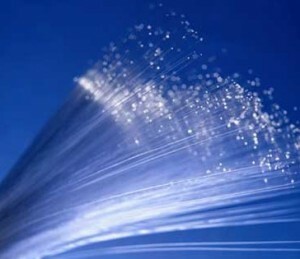 The United States currently ranks #15 in average broadband speeds, averaging approximately 2.3 mbps. Korea averages 49 mbps, while Japan averages approximately 64 mbps. Extending broadband access to disparate areas of the county and laying down the fiber optic wires necessary for the highest speeds is too cost-prohibitive for private industry right now. On the other hand, this is the perfect large-scale, progressive infrastructure project ripe for government investment. High-speed internet access will launch us into the 21st century and put us on firm footing for the Digital Age. The technological revolution that broadband can unleash will spur us toward more creativity, innovation, and open up new markets. President-Elect Obama has continuously stated that pushing America into a green economy is one of his top priorities. However, there is very little in the current stimulus package that addresses these goals in comprehensive detail with long-term plans and projections. One of the most promising but underfunded proposals is high-speed rail. Some of the immediate benefits of building high-speed rail corridors include, alleviating the environmental stresses caused by traditional road and highway travel, lowered energy consumption, and low operational costs. In addition, high-speed rail is faster, while offering more capacity and better efficiency for shorter trips between non-hub cities. Research has been completed on the 11 corridors that could benefit the most from a high-speed railway system. Because of this crucial groundwork, the United States Department of Transportation has solicited proposals for these potential high-speed corridors. 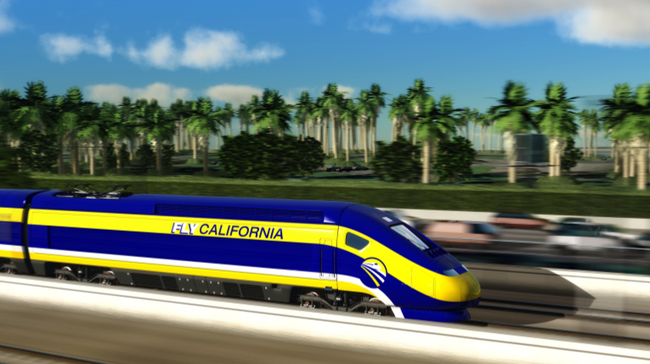 Previously, many considered the benefits of high-speed rail too minimal and the cost too prohibitive for private investment or government involvement. 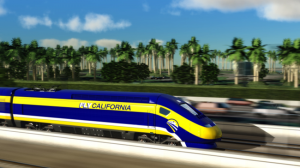 To build a high-speed rail system for the California corridor, which goes from Los Angeles to San Francisco, would cost approximately $34 billion dollars. However, this is the type of green infrastructure project that would transform the way people live, work, and travel. A high-speed rail system would be a tremendous down payment on our environmental future. As an expensive project that has long-term structural and environmental benefits, high-speed rail funding should be a vital part of the the stimulus package. From the realms of science fiction comes wireless energy transmission. While the science is complicated, the premise is not. Energy, specifically electricity, once generated would be wirelessly transmitted to any number of storage satellites. 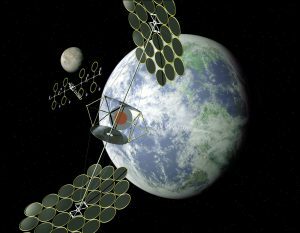 This electricity can then be wirelessly transmitted to any location on the planet. The concept runs parallel to any number of wireless innovations with which we have become comfortable. Traditional means of delivering electricity generally wastes between 20-25% of the electricity in transit. By implementing this technology, we could rid our landscape of wires and cables, while creating a more cost-effective and efficient delivery system. Green technologies would become instantly viable because transmission, storage, and delivery would no longer be a hindrance. The Department of Energy stated that this technology is currently not cost-effective. However, this is the sort of high profile, forward-thinking innovation that has revolutionized American industry in the past. Moreover, these are the kind of projects that will propel us into the future. Hi there, I found your blog via Google while searching for work online and your post looks very interesting for me.